God’s plan is for you to “prosper and be in health, even as your soul prospers” (3 John 2). He wants you to succeed in every aspect of your life – every project, every endeavor! He wants you to be fruitful and to increase and multiply in every good thing. This brings glory to Him. 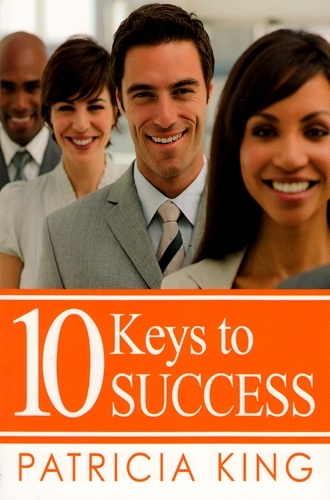 10 Keys to Success offers you valuable insights taken from the lives of two of the most successful persons in the Bible, Abraham and David. You will then discover 10 effective and proven principles found in Scripture – keys that open doors to the success God wants you to have. For over 30 years, Patricia King has successfully coached, trained, and equipped believers to walk in their God-given callings. As a seasoned minister, successful businesswoman, and popular motivational speaker, Patricia King is the author of many books and resources, host of Everlasting Love Television Program, founder and visionary of XP Ministries, and co-founder of XPMedia.com.